The work is coming along nicely with my book "How to beat Chronic Fatigue Syndrome and get your Life Back". This has been co-written with Warren Tattersall, an associate and friend who has also been dealing with his own chronic fatigue syndrome for over 30 years. With decades of experience between us, both in dealing with our own problems and with helping other sufferers of CFS, we both believe our book will be helpful to thousands of people. There is just so much raw information about CFS research and clinical studies, and forums full of people asking for help and only being given more statistical data, we think this book will answer so many people's questions. Anyway, once the book is available on Amazon I'll be sure to post it on here. In the meantime, here is some more information that I hope you will find useful to you. With no known definite cause, Chronic Fatigue Syndrome is a popular name for a disorder or group of disorders with varying debilitating effects on the individual which persist for at least 6 months. According to some sources, the syndrome results from an infection. As of yet though, the syndrome is not yet fully understood although it is quite a common disorder. The onset of CFS is usually characterized by sudden occurrence of symptoms which are somewhat similar to the symptoms accompanying flu. It is believed to begin with an infection caused by non-viral and viral pathogens which trigger subsequent symptoms. In a smaller fraction of patients, the onset begins after exposure to prolonged extreme levels of stress. It is believed that CFS can begin either from high levels of stress or infection. Current studies are focused on investigating on these causation models. Although there are no definite causes to chronic fatigue syndrome, there are however, known conditions that are closely related to the development of the syndrome. This is the Glandular Fever that I contracted in 1976 that derailed my life for the next few decades. 1. Unexplainable chronic fatigue is experienced for more than 6 months and all other diseases and disorders that can lead to long term experience of fatigue have been ruled out by your health care provider. 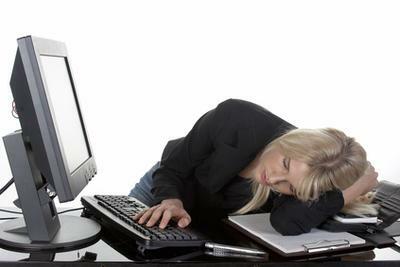 This fatigue does not root from physical exertion and cannot be relieved by rest. h) abnormal lymph nodes with notable tenderness. There are several ways of managing the disorder but there is no one universal treatment option that is recommended for all patients. For some patients, dietary changes, changes in lifestyle, use of pain killers, physiotherapy, medications and Complementary and Alternative Medicine work. The most common unconventional treatment modalities are CBT or Cognitive Behavioral Therapy and Graded Exercise Therapy. My book details how this works both under medical supervision, and step by step instructions for how to develop this as your own self help therapy. The average recovery rate of untreated patients is pegged at 5%. On the other hand, those patients who have received a number of treatments are 40% more likely to benefit from full recovery. Due to the absence of concrete and definite parameters for identifying people with CFS, it is quite hard to determine the exact number of people who are affected by this disorder. Estimates range from 75-420 people in every 100,000 people have this disorder. Women are more susceptible to developing this disorder by 20% although there are strong indications that this disparity is due to unreported cases among men. The syndrome occurs across all ages but is more common among people aged 40 to 59 years old. It is found across genders and ethnic backgrounds. It is also seen to run in the family.